When to start planning for retirement? There are some questions like this, though at the sub-conscious level we know the answer, our conscious mind somehow acts as if it is ignorant of the obvious answer. When to start planning for our retirement is one such question, though we know the answer at the much deeper level, somehow on the surface, we act as if we are unaware of the answer. As we ignore the answer and behave as if we are unaware of the answer, actually the problem magnifies. A recent research study reveals this truth in black and white. Though the retirees and pre-retirees who have been surveyed were well aware the fact that they may live longer, and also recognized that they did not want to run out of money, only a very few of them were REALLY planning financially to live longer. For example, only one-third of the pre-retirees “tried to match their savings for retirement with the expected income during retired life till their life expectancy. That means two-third of the pre-retirees are not really planning for their retirement and they are financially not capable of facing their retirement. They have a huge gap in their retirement savings. Yes. 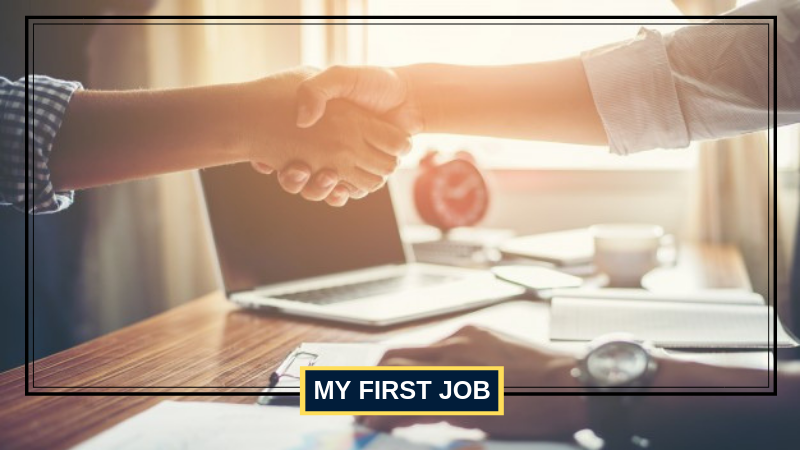 Your first job is the starting point of your journey towards the destination of retirement. Can you travel without a clear route map and directions? If you travel without a route map and directions, you may get yourself off-tracked and deviated? Similarly if you don’t create a clear financial plan for your retirement at the beginning of your career, then you may not be able to go where you are actually supposed to go or you may need to take a lot of corrective measures to get yourself on the right track to achieve your retirement goals. Why our conscious mind is not accepting this obvious answer? There is a lot of pain in planning for our retirement very early. Our conscious mind wants to avoid this pain. Also many of us are in the middle of our career and we have not planned for our retirement so far. If our conscious mind accepts the obvious answer, then it needs to feel guilty of not doing it early. This is an added reason for our mind to ignore this. Let us try to convince our mind more logically. Planning for retired life is planning to lead a life without regular income. Can we plan for 20 years of retirement in just one year? It is difficult and not possible. It is easier for anyone to plan for 1 year of retirement life in 1 year of working life. So in order to plan for 5 years of retired life you need to plan 5 years in advance. To plan for 10 years of retired life, you need to plan 10 years in advance. Suppose if you want to retire at the age of 60 and you have a life expectancy upto 80. Then your retired life span is 20 years. To plan and provide for these 20 years of retired life you need to plan at least 20 years in advance. That is you need to plan at least at the age of 40. I think now your conscious mind would be able to accept this fact of life. Because of the increased stress levels at work and change in work culture made today’s generation to think of retiring early. Today no one is willing to work till 60 years. Everyone would like to retire much earlier in life. Because of medical advancements and positive results in field of research on stopping aging, our life expectancy is not just 75 or 80, it will also go to 85 or 90. Everyone will live longer than they anticipate. One side, we want to retire early. On the other side, our life expectancy has increased and also will increase considerably. This increases the span of our retired life from just 20 years to 30 years or even more. So you need to plan for your retirement 30 years before you actually retire. If you do the math, you will come to a conclusion that planning at the beginning of the career for retirement is not only ideal but also logical.